This is a humble endeavour to analyse various problems in the Naga society from an economist point of view and offer possible remedies, wherever possible. In order to understand the problems that we face today, it is essential to state of the Nagas’ economy. Conflict of interests/aspirations: Our society is riddled with conflicting interests. Each region, every community, every tribe, every village, every clan and even khel has its own aspiration. The Eastern Nagas want a separate state; the Southern Nagas want alternative arrangement; the Central Nagas want exclusiveness and the list goes on. Conflict of interests and resolving them do not harm the economy. This is because common benefits increase in meeting the need of one unit of the economy. I fight for my benefits; you fight for yours; if my benefits increase without harming your benefits then it is an increase in social welfare. However, the flip side of conflict of interest is that it can also harm the economy. When every organisation worth its name(there are countless) resorts to methods like economic blockade, total shut down of business establishment, lightening bandh and destruction of government properties to register their grievances or interests, it paralyses the normal functioning of the economy and results in loss of crores of money. Sadly, this is happening too often in our economy. For every interest of one section of the society, there must be a strike or bandh. It harms the economy in ways more than one-firstly it results in loss of money in terms of thousands, lakhs or crores depending on the magnitude, duration and place of occurrence. Secondly, it can result in artificial scarcity, leading to inflation due to hoarding and speculation. Thirdly, it causes untold misery to the fixed income group. This is a reflection of ignorance of basic economics in our society. While fighting for our interests we harm ourselves. Unemployment due to our idea of success: Typical Naga parents will make their children feel guilty for not sitting in competitive examinations, as if they have committed a crime. The success of a person is often equated with getting into government jobs. No matter a person can be successful financially in other fields, he is considered unemployed until a person gets into government services. The current imbroglio of SSA teachers in Nagaland not getting their salary should be an eye-opener. How many jobs can the central and the state governments create in a year, while we churn out thousands of graduates every year? Thanks to our education system, we add more to labour force. How employable they are is a different issue. For a state like Nagaland, a time will come when the government will have no money to pay its employees, a view which is supported by the deficit budget presented year after year. It is time we change our notions about success and unemployment, and look beyond exploring new areas and redefining our dignity of labour through entrepreneurship. Political issue: The Indo-Naga political issue must be resolved at the earliest opportune time. As long as the issue exists, there will be no investment friendly and market driven economy. Taxes in any form discourage investment. Saving and investment are basic activities that stabilise the economy of any society and take it to a higher level. There is hardly any saving as our economy is by nature, sustainable, whereas, there are no big investments due to the unfavourable environment. We have not been able to unshackle the burden for a long time now. Perhaps, Naga economy would have been different had the issue not dragged on for too long. It is high time we think together, out of the ‘umbilical-cord relationship’ we have with our national workers and exert added pressure for an early settlement to the protracted issue. Only when this happens, our economy will take its course towards development without unnecessary interference. 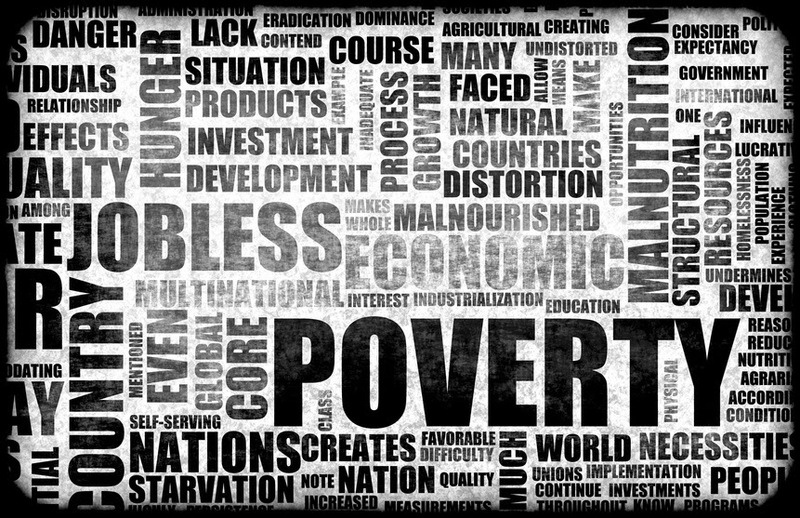 Corruption and Poverty: Corruption in the society aggravates the problem of poverty. It also accentuates inequality. Naga society is “classless” but it is not without inequality. Whenever there is corruption, there is no distributive justice. The fruits of what little development we witness go to only a selected section of the population. The essence of development is lost where there is corruption. This is because any kind of development, especially economic development, calls for distributive justice where not just the rise is income. The existence of inequality is evident when we find palatial buildings along with huts called homes in every locality of the Naga society. Real development will come only when we weed out corruption and bring down inequality. Globalisation: Globalisation in a way is breaking down barriers in order to facilitate exchange among different parties. It is a fact that no economy in this world is self sufficient in all aspects. Exchange is necessary because of the differences in factor endowment, stage of development, availability of labour and capital, etc. To reap the fruits of exchange , Nagas need to have peaceful relation with their neighbours. The ground reality is different. We seem to be having problems with all of them. We have boundary problems with Assam, immigrants from Bangladesh, political issue with Myanmar and more. These problems should be solved first to reap the fruits of globalisation. Clearly, the society is at a crossroad. For the present shall we allow the Hawk to prey and the Eagle to perch?